Srinagar, Mar 4, : The initial period of this year in Kashmir witnessed 60 casualties of government forces personnel. At least 104 persons including 37 militants have been killed till first week of March. Besides 37 militants, 10 soldiers, 5 policemen, 44 troopes, a BSF man and 7 civilians have lost life in conflict torn Jammu and Kashmir. 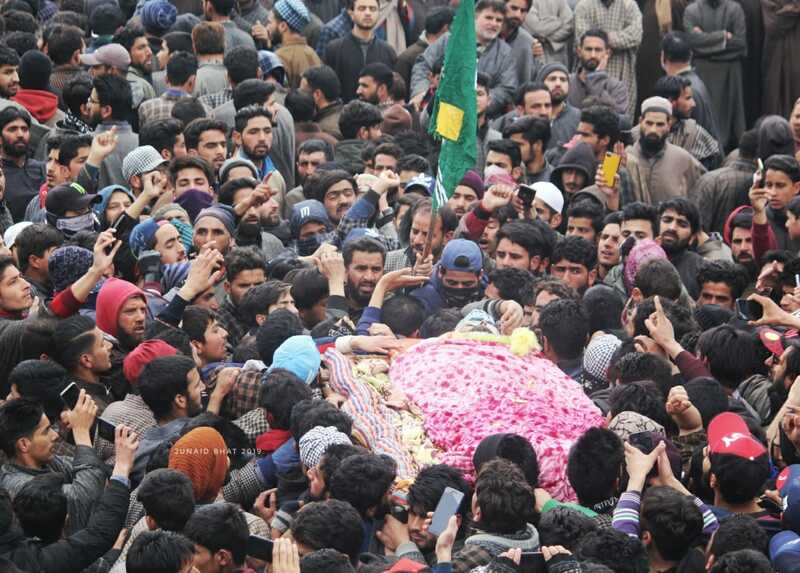 As per the data available with news agency, 37 militants were killed in 17 encounters that raged in different parts of Kashmir including Gulshanpora Tral, Aripal Tral, Choudarybagh Pulwama, Khatpora Kulgam, Hafat Nallah Charar-e-Sharif, Shirmal Shopian, Binnar Baramulla, Drabgam, Chakoora, Kelam Kulgam, Ratnipora Pulwama, Gopalpora Chadoora, Pinglen Pulwama, Warpora Sopore, Tarigam Kulgam, Meemandar Shopian and Babagund Handwara. Nine among the 37 slain militants were non-locals. Suspected militants carried out 16 grenade attacks on security pickets. A couple of IED blast also rocked some areas, the most lethal one was at Lethpora Pulwama that left over 40 CRPF personnel dead. As per the data available four government forces personnel including a policeman committed suicide till first week of March. They include CRPF man Mukesh Bhawuk (24 Battalion), army soldier Abishekh Roy Kumar and police head constable Muhammad Shafi Mir of Sadoora Kulgam and soldier Sandeep Singh of Punjab.